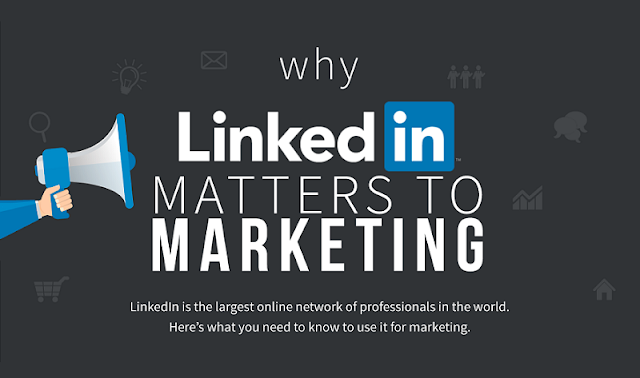 LinkedIn is the largest professional network in the world. It’s a popular website for people to find jobs, and it’s even more popular as a place to rub elbows with their coworkers. But as you’ll see in this infographic from WebpageFX, LinkedIn is also a place to promote your business. Whether you run a B2B or B2C company, LinkedIn provides you with the audience and means to create new sales. You can blog, comment on content, send connection requests, create private messages, and more all from your LinkedIn dashboard. Altogether, that makes it an incredible marketing opportunity. But most people have their doubts. After all, why would a professional social network also double as a marketing medium? The answer lies in LinkedIn’s userbase. Every second, two new users sign up for LinkedIn. Based on their income, spending habits, and personal data, each of them is worth about $84. Beyond that, 45% of LinkedIn users are in upper management positions, also known as key “decision-maker” positions that are so valuable to the sales process. You also won’t find many LinkedIn users other places online. 83% of them don’t use Pinterest, 59% of them don’t use Twitter, and 13% of them don’t even use Facebook. Altogether, that gives you a unique audience of business-minded individuals who are in a position to buy from your B2B. And if you’re a B2C, the deal is even sweeter. 90% of LinkedIn users say they make household decisions, meaning you can safely market and sell to almost all of LinkedIn’s 450 million users. To earn these valuable sales leads, you can do a few different things. Second, post 20 times per month. That’s about five times per week, or every weekday. Next, grab the attention of your audience with titles that are proven to work on LinkedIn. Starting a title with “who,” “what,” “where,” “when,” “why,” or “how” is a sure bet since 28% of LinkedIn’s top articles include those words. You can also use “you” or “your” (27%) or lists (20%). After that, make sure your topic will work for LinkedIn’s audience. Career management, workplace psychology, and talent management are the three most popular categories for LinkedIn articles. Finally, post at the proper time. The best time to publish is between 8:00 a.m. and 6:00 p.m. for your intended audience — during their work day.